Are you using G Suite and WordPress, did you know that you can implement SAML with G Suite and set up single sign-on authentication with your WordPress site without introducing a third party service such as Okta or OneLogin. This article will guide you through the steps of setting up a new SAML app for your Google Apps domain and how to install the WordPress plugin SAML Single Sign On. We are setting up Google as the identity provider, and WordPress as your service provider. As an administrator on your G Suite account, go to the admin portal and click through to Apps > SAML Apps. You will see a list of any existing SAML apps. Click the big plus sign in the bottom right to add a new one, a popup window will open. Choose the option “Setup my own custom app” near the bottom of the popup window. You’ll then see your specific Identity Provider information. 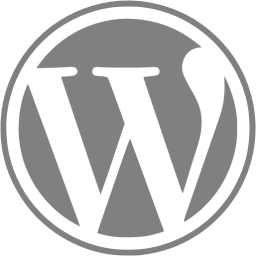 You will need the info in Option 1 to configure your service provider in the “Adding your IDP to WordPress” section below . Open a new browser window so you can keep both handy. Add some descriptive information about the new SAML app. This is used to identify the app for everyone on your Google Apps domain. You can also add a logo of the service provider application that you adding, it makes it easier to find when you are logging in to the service provider app you adding. Attribute mapping will be different depending on which service provider you setting up. SAML Attribute mapping, in basic form when someone ask for your “email address”, is the attribute that should use the “Email” attribute in your SAML Identity provider. Group membership might be an attribute, if supported. Access control levels is something that directory services (i.e. LDAP) are better at managing. SAML is more a managed authentication and attributes (i.e. “What Apps can this person log in to”). To enable SSO for WordPress, I choose the free version of the WordPress plugin SAML Single Sign On by miniOrange. You need to setup the Service Provider in miniOrange, most service providers want to know your Entity ID and SSO URL. Add the Certificate, that you downloaded from Google SAML App you created in previous steps. You may also alter the sign in settings. Now that you’ve added your service provider to your identity provider, you’ll want to complete the connection by configuring your service provider directly. When turned on, your new app will show up in all your users’ app dropdown along with other apps and existing SAML apps. You may need to click “More” first to see the complete list of available apps. Clicking on this link starts an IDP-initiated workflow, and will open your app with the current user authenticated. As you noticed, this is very easy to setup – if you are a small to medium size organization, you do not have any need of using a third party IAM solution, you could use G Suite, and then add your other applications to the G Suite SAML App. Providing SSO to all users in your organization. If users require access to different apps, you can setup OU in G Suite, and enable the SAML App Service Provider for the OU that requires the SSO for a service. You can go a step further with the G Suite, to make your users to enable Two Factor Authentication(2FA) for their G Suite account. If you have any question or comments, feel free to add them below.